C-FWRA at the Tukanee Lake base, Ontario. • IM-1714 Indian Air Force. Delivered 06-Jan-1958. Withdrawn from inventory at Gwuahati Air Base, Assam on 31-Mar-1991. • No regn Recon Air of Geraldton, Ontario who rebuilt the aircraft. • C-FWRA Donald MacLachlan, (612372 Ontario Ltd), dba White River Air, White River, ON Regd 07-Jul-1997. 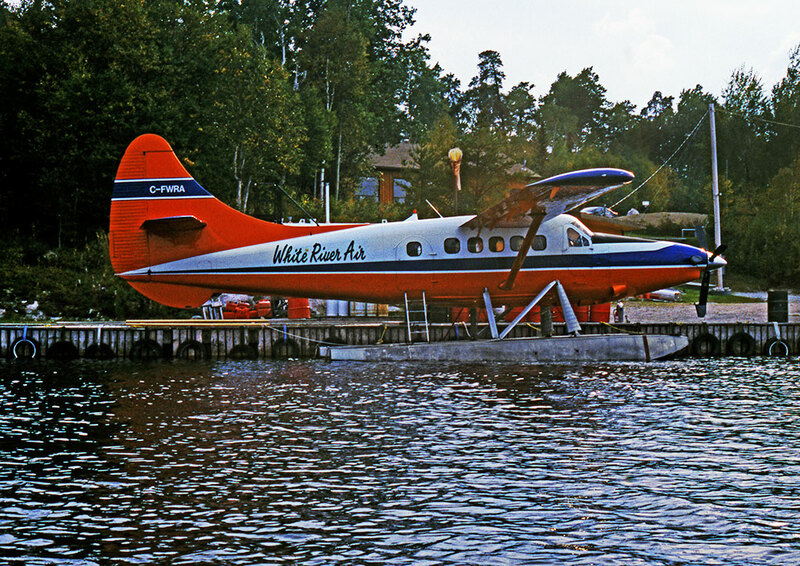 Note: The aircraft was returned to Recon Air who converted it to a turbine with a PT-6 engine, and it re-entered service as a Vazar turbine Otter with White River Air in May 2001. • C-FWRA Donald MacLachlan, (612372 Ontario Ltd), dba White River Air, White River, ON Canx 02-Jul-2003, 02-Jul-2009 & 01-Oct-2009. Regd 01-Oct-2009. Canx 07-Jan 2015. Regd 21-Jul-2015. Otter 213 was delivered to the Indian Air Force on 6th January 1958 with serial IM-1714. After test flying at Downsview, it was packed into a crate and shipped to India where it was re-assembled and entered service. The Indian Air Force continued to fly the Otter until the type was formally withdrawn from the inventory on 31st March 1991 and the surviving aircraft were offered for sale. The successful bidders for the Indian Otters were Mike Hackman Aircraft Sales/La Ronge Aviation who travelled to India to prepare the Otters to be shipped back to Canada. IM-1714 code Z was located at Gwuahati Air Base, Assam where it had been on display without its engine. It left India in March 1995 and was shipped to Vancouver and then overland to Saskatoon. Unlike most of the Otters, which were paint stripped before they left India, IM-1714 arrived in Saskatoon still in its Indian Air Force colours. 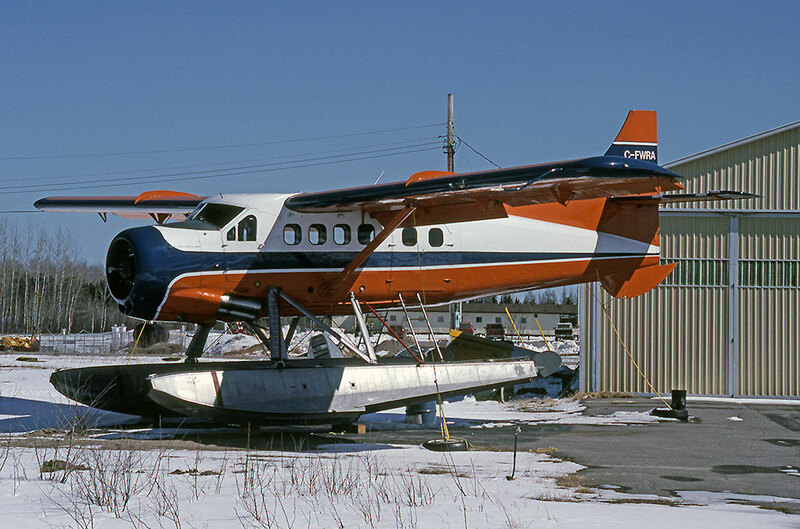 The Otter was sold to Recon Air of Geraldton, Ontario, an aircraft maintenance and overhaul company, who rebuilt the Otter and sold it to Donald Mac Lachlan, trading as White River Air, Ontario in May 1996, registered C-FWRA. It joined his Beaver CF-FHR and a Cessna 185, based at White River, servicing fishing and hunting camps in the Ontario bush country. As its website proclaims: “White River Air, the first and still the only fly-in outfitting air service out of White River in this vast area of northern Ontario containing the finest hunting and fishing sites, has been operating since the 1950s. We have located our camps on remote lakes with no access other than flying in. We operate the largest moose hunt in the area, over 700 square miles”. After a year's service, there was a change of registered owner in July 1997 to 612372 Ontario Ltd, trading as White River Air when Mr. Mac Lachlan incorporated the business. The Otter was returned to Recon Air who converted it to a turbine with a PT-6 engine, and it re-entered service as a Vazar turbine Otter with White River Air in May 2001. The Cessna 185 was sold to help pay for the upgrade. The Otter flies for White River Air each summer season, May to October, and is stored for the winter with Recon Air at Geraldton.